If you own Dell Inspiron 3169 (Z548303HIN8)(M3 6th Gen/4GB/500GB/Win 10), please do leave your feedback too. 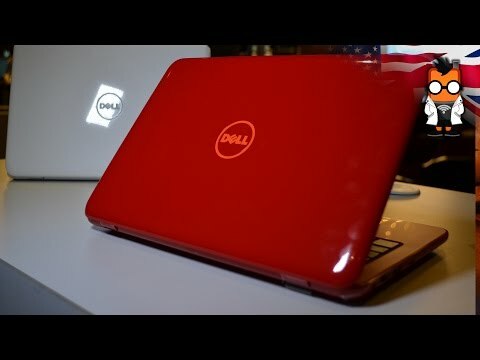 The Dell Inspiron 3169 is a 2-in-1 laptop offered by the American company. The laptop features a durable build with a versatile flexible hinge that allows the device to be used either as a laptop or a tablet. The offering from Dell also ships in vibrant blue and red colour variants. Underneath its hood, the Dell Inspiron 3169 is powered by Intel's sixth generation M3 processor ticking at 1GHz which can be further turbo-boosted up to 2.2GHz. The processor offers 4MB of RAM which is paired with 4GB of DDR3 RAM for a seamless and lag-free user interface. In terms of storage, the laptop packs in a 500GB HDD hard disk for all user data storage purposes. On the display front, the device rocks an 11.6-inch HD panel having a resolution of 1366 x 768 pixels. The laptop also integrates a webcam for video calling. As far as audio is concerned, the laptop packs in a dual speaker setup for surround sound. The laptop offers all the conventional connectivity solutions which include WiFi, Bluetooth and Ethernet. For transferring data to and from the laptop, Dell has offered two USB 2.0 ports and one USB 3.0 port with the laptop. The laptop also offers exceptional battery life of up to 8 hours on a single charge. On the software front, the device runs Windows 10 out of the box.